This product is pen type food-level stainless steel probe mainly use for measuring the food temperature. 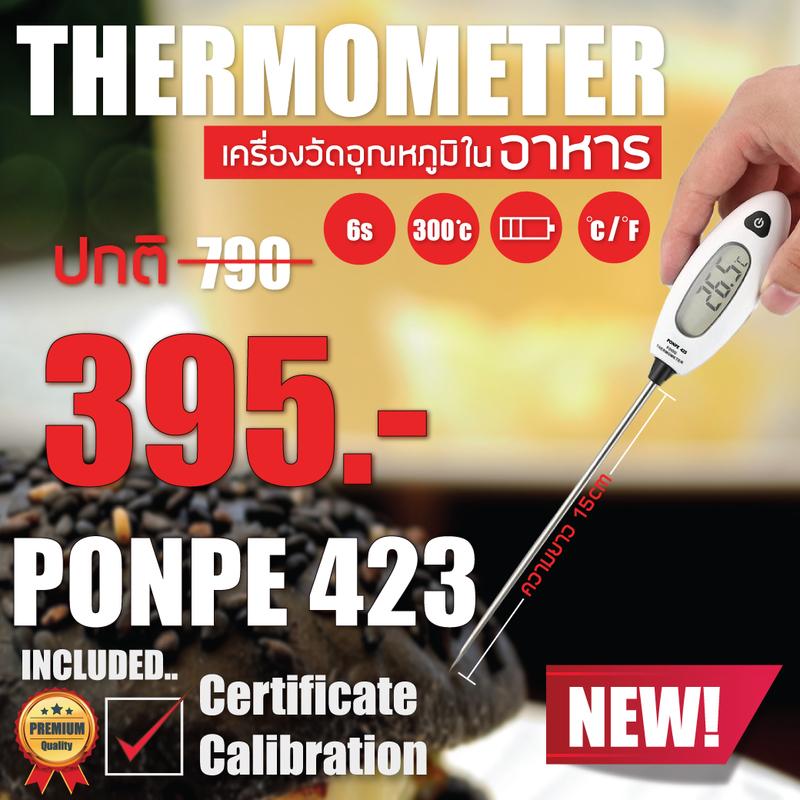 The probe-type food thermometer may be used for measuring the cooking temperature and grilling temperature being applicable for such various fields as refrigeration heating food processing and rubber and plastic processing. 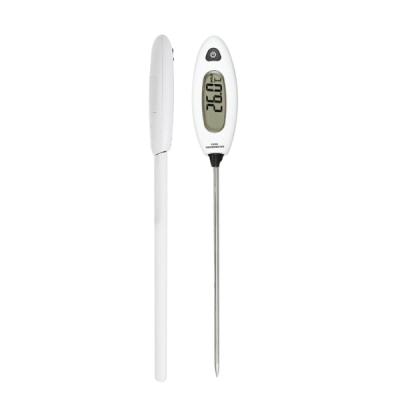 Accurate and easy to use, this thermometer is perfect for use by chefs, restaurants, grocery stores, or just for your typical family barbecue! - High Quality: with stainless steel material and Japan imported sensors which give long life and enable the probe with high accuracy. 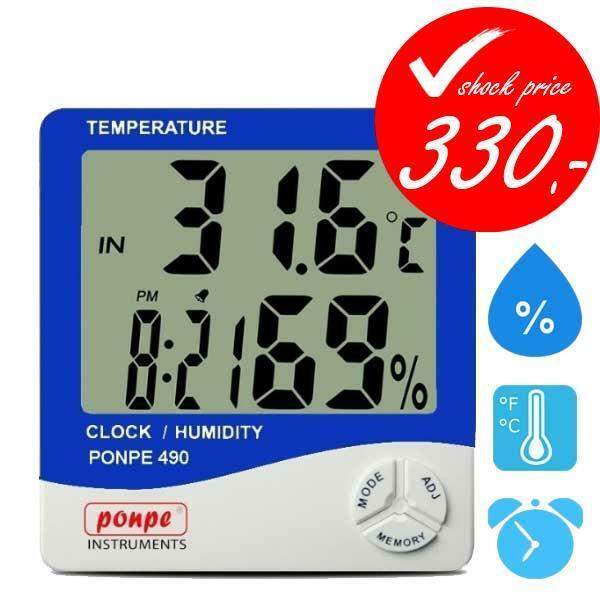 - Convenient Design: with novel and portable appearance, LCD display, temperature lock, low power prompt, conversion between °C/°F degree temperature unit as well as auto shutoff. - Widely Used: can be used for measuring various fields temperature, such as kitchen cooking, water, oil, candy, BBQ, meat oven temperature. 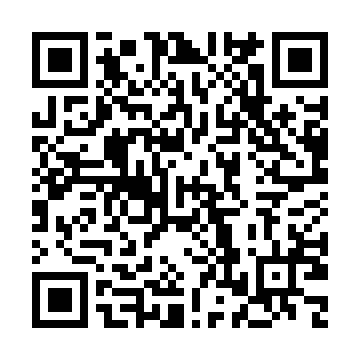 Besides, it can do Max/Min measuring. - Fast Probe: just need step-down the tools, you can get result on the display within few seconds. - Wide Range: allows for temperature ranges from -50°C ~ 300°C (-58°F ~ 572°F) and a resolution of 0.1 °C/°F.